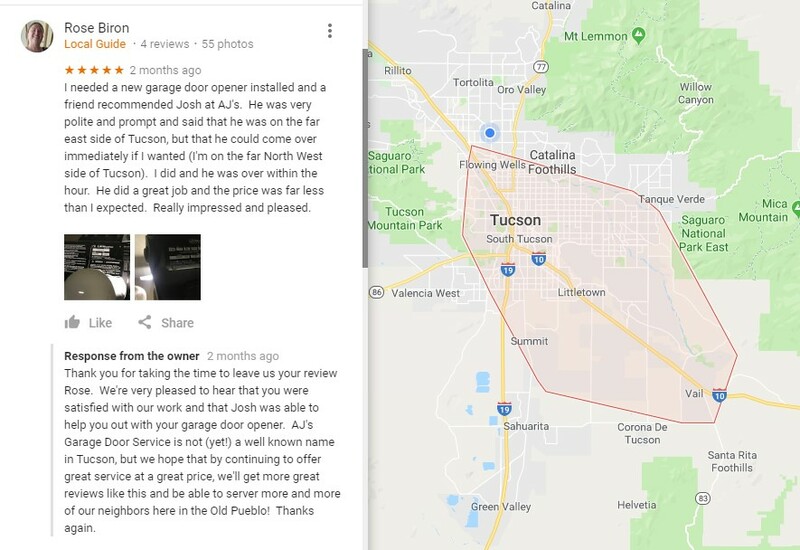 AJ’s Garage Door Service is proud to announce that they have received another five star review. The company is an up and coming independent garage door service provider in the Tucson area. They are very happy to receive such kind of reviews and they pledge to continue to serve their customers in the best way possible. The company offers full service garage door repair, garage door openers repair, garage door opener installation, repair or replacement of broken overhead garage door springs, garage door opener installation, replacement of garage door sections or panels, replacement of broken overhead garage door cables, repair or replacement of broken or worn out rollers, repair of misaligned or off-track doors, torsion spring repair, and extension spring repair. Andrew Johns explains that even though they talk about garage door spring repairs, when a garage door spring is found to be broken, it has to be replaced. These springs are often found to be broken because they need to carry much of the weight of the garage doors each time they are opened or closed. Also, if one spring is broken, it will not be long before the other spring will also break down. That is why it is usually suggested that both springs are to be replaced. Andrew Johns says that they have made and posted a video, titled “Understanding the Basics of Garage Door Springs” to help people know more about their garage doors. 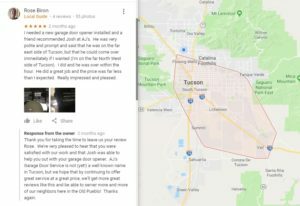 AJ’s Garage Door Service is a small, local garage door repair company serving the Tucson and Vail area. They point out that they are committed to providing competitive pricing and the most personal service.